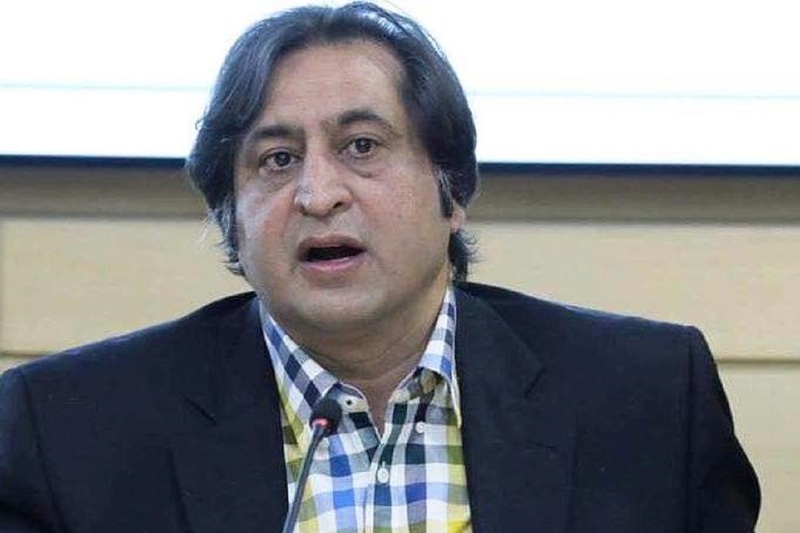 BJP backed Sajad Lone, president of the Peoples Conference, has criticised the Modi government for imposing a ban on the top separatist Yasin Malik’s Jammu and Kashmir Liberation Front (JKLF), which is accused of having killed four unarmed IAF personnel and genocide of Kashmiri Pandits. He has described the government’s action against the separatist as “shrinking space for peaceful dissent”. Lone tweeted; “From underground to overground. Was part of those arrested in a raid in Barzalla to arrest Yasin Malik in 1990. JKLF renounced violence in 90s. It was tantamount to suicide. At great risk Yasin Malik took that decision. And now stands banned. Shrinking space for peaceful dissent”. Sajad Lone was a minister from the BJP quota in the Mehbooba Mufti’s government and his party is now heading the Srinagar Municipal Corporation with the support of the BJP. Former chief minister and National Conference leader, Omar Abdullah, reacted to the ban by tweeting; “For 4 ½ years Yasin Malik isn’t a threat, Jamaat Islami isn’t threat, Pakistan National Day is a function that must be attended. Now suddenly once an election is announced an immediate u-turn is executed”. Another former chief minister and PDP leader, Mehbooba Mufti, tweeted; “Yasin Malik renounced violence as a way of resolving J&K issue a long time ago. He was treated as a stakeholder in a dialogue initiated by then PM Vajpayee ji. What will a ban on hos organisation achieve? Detrimental steps like these will only turn Kash into an open air prison”. Separatist Mirwaiz Umar Farooq tweeted; “Strongly denounce the ban on JKLF after JEI. Such anti-Kashmir tactics will not change the reality of the Kashmir issue nor the urgency to resolve it”. Omar and Mehbooba also slammed the Modi government for the police “harassing” the guests who were invited on the eve of the Pakistan Day at the New Delhi based High Commission of Pakistan. India had boycotted the reception at the Pakistan High Commission in New Delhi as about 30-separatists from Jammu and Kashmir were also invited for the function. Mehbooba tweeted; “On one hand, PM sends greetings to Pak for its national day. On another, many invitees to celebrations held at Pak High Comm were harassed outside by cops. This dichotomy & inconsistency is a well thought out strategy dictated entirely by electoral prospects & domestic politics”. Commenting on the issue, Omar tweeted; “But then if he’s only following custom it is also custom to send a minister & it is NOT custom to plant spooks & pliant journalists to bully invited guests to not attend. Can’t pick & choose whish custom we like & which we don’t”.